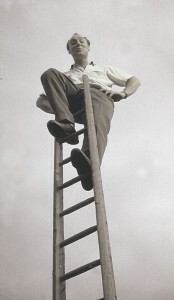 Most people aspire to be on a higher rung of the corporate ladder than the one on which they started. That transition doesn’t happen overnight. So how do you get from the ground floor to the executive suite? Education is a primary component. Many entry level jobs require a college degree or specialized hands-on training. Mid-management or senior level positions may require a graduate degree. The earlier in your career you obtain degrees and certifications, the more time you’ll have to recoup the cost of that financial and intellectual investment. It’s possible to advance in some industries without a degree, but it’s a much harder pathway. And you’ll have to work twice as hard to prove your grasp of business fundamentals, industry knowledge and leadership skills. So if additional education isn’t an option for you at this stage of your life, don’t give up or settle for the status quo. Dig in and prepare to work harder to demonstrate your promotional value. Upward movement within a company requires you to understand the company structure and how the various departments or divisions of the business intertwine. Take, for example, a scenario from an accounting department of a manufacturing firm. How do new products and understanding of their value and target audience transition from the research and development division to the marketing team and sales department? When the product is ready to sell, how does the shipping department track inventory and production timelines? Managers and executives can’t accurately plan budgets and timelines or ensure that product marketing and sales strategies will be effective without understanding department and process intersections. Make sure the corporate culture fits your style and talents. John Coleman blogs that great corporate culture is comprised of six different components — vision, values, practices, people, narrative and place. Elena Bajic, CEO of Ivy Exec, describes the corporate culture she created as the company has evolved. Both stress that getting executive and employee buy-in of corporate culture is essential to success. Before you start to make your move to the next rung on the ladder, be sure to master current job responsibilities and tasks. Meet your deadlines. Double check the accuracy and quality of your work before checking a task off your list. Exude a positive attitude. Be a contributing team member. You are not ready for the next level until you’ve achieved consistency in all these components. Sometimes a lateral move might be in order. Remember what I wrote earlier about understanding the company structure? Moving to a different department might be a great way to broaden your knowledge base and add skills to your resume. However, the lateral move doesn’t always need to be within the same company. You’ll learn a lot from a different boss, coworkers, corporate culture, and responsibilities. Combine the new and old experiences and learn how to build off them. You’ll be a better rounded and valuable employee and potential executive. Volunteer to assist or lead special projects. These events provide unique opportunities to partner with different coworkers and may showcase a skill-set you don’t get to exhibit while doing your regular job. Special projects may also provide a chance to broaden your knowledge base and build your resume. It also sends a strong message to company executives that you are dedicated, want to grow personally and professionally and are a solid team player. Last but not least, let your boss know you want to move up the career ladder. Of course you must convey that in a non-threatening manner so your boss doesn’t feel you are planning a leadership coup. A forward-thinking boss will welcome your interest in advancement and will look for opportunities to help you learn and position yourself for promotion. It also provides a chance for your boss to shine amongst her peers and supervisors by selecting and cultivating talented employees. I’d love to hear your feedback about techniques and opportunities you’ve used to advance your career by commenting below. Or, if you are currently in the executive suite, it’s a chance for you to pass along some wisdom to the next group of ladder climbers. If you want to connect one-on-one, follow me on Twitter or G+.